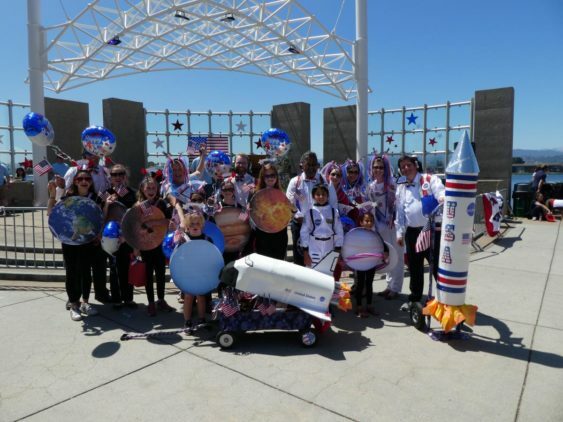 Celebrate Independence Day in Foster City for a spectacular Fourth of July Celebration at Leo Ryan Park. They have an exciting day planned with a family and dog parade, family games, live music, and a grand fireworks display. Be sure to take a walk through the park where you can purchase food, visit booths of local artists, and check out the children’s rides. Last year, there was a $10 fee for parking at Parkside Tower Parking Garage located on the corner of E. Hillsdale Blvd. and Shell Blvd. We expect it to be the same this year.